Physical distress is often a symptom of acute issues — not so with fibromyalgia, a mysterious condition that begins in the central nervous system. Think back to the time when you were in your early 20s. Were you an average person in a physical sense? That is, were you healthy? Could you move about as you pleased? Did you feel like you had your whole life in front of you, and your body would never fail? That is how Sharon Waldrop felt. When she was younger, the Royal Oak native loved to exercise, but she also just loved to move, and that often meant long rollerblading sessions in the sun. It’s what made her feel alive. Then, after enduring a frustrating series of medical mysteries as a new college graduate, Waldrop was told to essentially stop moving. She had finally been diagnosed with fibromyalgia, a little-known disease at the time that is characterized by a chronic state of widespread pain. If doctors 20 years ago, when Waldrop first learned she had the disease, even considered fibromyalgia to be a real thing, they would tell patients that the trick for lessening the pain was to simply stay still. This devastated Waldrop. Her life flashed before her as she imagined what it would be like trying not to exert herself in order to manage the pain. She hadn’t pictured herself as a delicate thing — she knew she was strong. But was she doomed to tip-toe around her body for the rest of her life? The answer turned out to be no. Waldrop, now 44, would go on to establish the Fibromyalgia Association of Michigan. As its director, Waldrop has, in many ways, built her career around understanding what afflicts her at her core. As a result, she has seen the “desperation” of fibromyalgia dispel over the years for herself and her fellow sufferers. For example, experts know now that remaining still is sometimes the worst thing you can do if you want the pain of fibromyalgia to go away. But while acceptance of the condition and a clearer picture of fibromyalgia’s true origin has emerged, it often remains a challenge to get people — even in the medical community — to rid themselves of the cynical perceptions of the disease. The stigma is still there, Waldrop says, just as it was in the late 1800s when doctors first identified fibromyalgia and described it as a largely “psychological” affliction. Were people really feeling all this pain? Or were they making it all up? Dr. Daniel Clauw, one of the world’s leading experts in fibromyalgia, agrees with Waldrop’s sentiments. “[Some doctors] still see fibromyalgia patients as a bunch of crock. It’s easy to think of them that way,” says Clauw, a professor of medicine and anesthesiology and director of the Chronic Pain and Fatigue Research Center at the University of Michigan. After all, there is still no definitive test for diagnosing fibromyalgia. But he pointed out that there is no definitive diagnostic test for Alzheimer’s or amyotrophic lateral sclerosis (ALS), either. Clauw says the pain center at U-M is among an international group of research institutions that receive the most funding for pain research from the National Institutes of Health. In short, he is helping to lead some of the world’s most sophisticated research on fibromyalgia and chronic pain in southeast Michigan. What Clauw can say definitively about fibromyalgia today is that it is no longer controversial in the pain world. He and his colleagues are confident that they know what makes fibromyalgia patients hurt long term. And they know that fibromyalgia patients suffer from real pain. Accordingly, Clauw and other experts no longer consider the chronic pain of fibromyalgia to be a symptom of what is happening at the “local” level in the body. For example, a fibromyalgia patient who suffers from painful knees is not experiencing inflammation or “acute” pain in the surrounding muscles and joints, but rather a complex dance of physical dysfunction in the way the central nervous system processes pain. 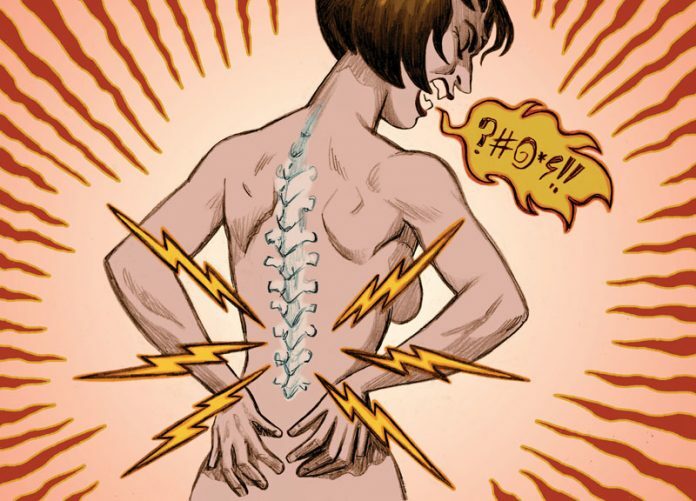 This is one reason why the suffix “-itis,” meaning “inflammation” and long used to describe painful conditions in different areas of the body, can be so misleading in the context of chronic pain. “It’s important for fibromyalgia patients to understand that just because there’s pain in a certain area of the body, it doesn’t mean that there is actually something wrong in that area,” Clauw says. Ironically, “neurologists have been the hardest to convince” of these findings, Clauw says, because they are used to dealing with things like seizures — violent, tangible evidence that something is going horribly wrong in the brain. What’s in A Diagnosis — and Treatment? All of these attributes of fibromyalgia make it hard to figure out what is wrong, Clauw says. As a result, he estimates that only one in three fibromyalgia sufferers today has gotten the correct diagnosis. Of course, just because you feel unexplained pain does not mean that you have fibromyalgia. A diagnosis often involves ruling out other things. Experts also know that fibromyalgia is almost always accompanied by extreme fatigue, a general lack of energy, and a host of other ancillary conditions like depression, headaches, and cognitive or memory problems. But what, exactly, is happening in the brain of a fibromyalgia patient? There are many theories of what can trigger the disease. Some believe that a physically traumatic event, like a car accident or difficult illness, can bring it on. In Waldrop’s case, she experienced severe endometriosis (a condition that causes pelvic pain) at age 18 and temporomandibular joint disorder (TMJ) in her jaw. Still, no one knows the root cause — in some people it can manifest for no reason at all. This is why current research is focusing on possible genetic factors that may cause people with fibromyalgia to react more strongly to stimuli than a typical person. Clauw says another theory is that the endogenous opioid system (endorphins that occur naturally in the body) in a fibromyalgia sufferer is what is “turning up the volume” on pain, something that seems counterintuitive since endorphins are meant to alleviate discomfort. This is one reason why Clauw says that most typical pain medications simply don’t work for fibromyalgia sufferers, including anti-inflammatories and opioids. “Opioids can make a fibromyalgia sufferer feel good for about two months. It’s like a chemical lobotomy that disassociates you from sensing pain,” Clauw says. But it’s not a true fix. For now, the FDA has approved only three drugs to treat fibromyalgia: pregabalin, duloxetine, and milnacipran. Lyrica is the brand name for pregabalin, and commercials for the drug, which was developed to treat neuropathic pain, have certainly raised awareness of fibromyalgia in recent years. Reactions to these drugs are mixed. “No question, we need better drugs to treat this,” Clauw says. Fibromyalgia sufferers must ultimately find what works for them to lessen the pain and live productively with this chronic condition. Treatment requires a multilayered approach, and it may not always include drugs. There is no cure. As a first step, finding a doctor who understands fibromyalgia is critical, since many medical professionals still do not fully understand the condition. Waldrop also figured out that exercising can help her feel better, which she does on a regular basis, in addition to managing her diet, sleep, and stress levels.